Home Hardware says dozens of its Canada 150 tulips, which are supposed to bloom with a patriotic red flare on a white petal, are blooming the wrong colour in parts of southwestern Ontario. The Canada 150 tulip was certified by the National Capital Commission. 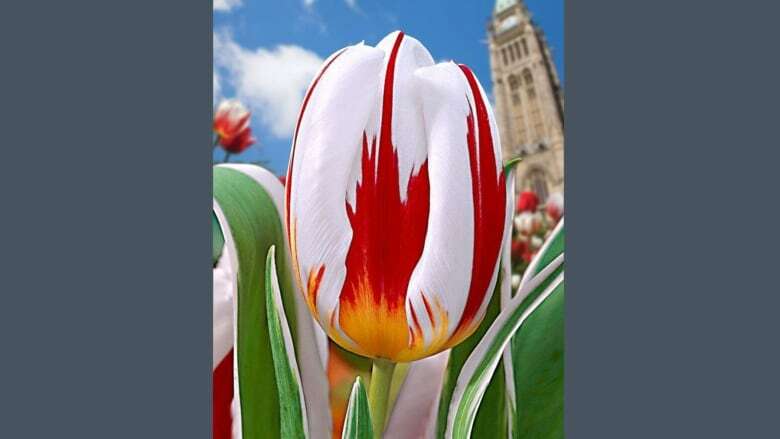 Kathleen Randle expected the patriotic tulips she bought for Canada's 150th birthday to blossom with bright white petals splattered with a flare of red. Instead, she got a bloomin' surprise — short and spiky stalks topped with red and yellow. "Generally, even if you don't know much about tulips, you know they're about 30 centimetres tall and graceful. Mine look, you know, challenged," she said. Like Randle, dozens of Canadians looking to decorate their yards in honour of Canada's sesquicentennial are getting a bit of a surprise with some of the flowers blossoming in unexpected shades. Home Hardware officials said they have received at least 31 reports of the Canada 150 tulips blooming with unexpected colour schemes across southwestern Ontario. Company officials say the problem isn't widespread, given the nationwide chain has sold more than four million bulbs, which were supplied by Holland Bulb Market and certified by the National Capital Commission. "We are a truly Canadian company, so we want to give any customers that didn't have a perfect experience with us a truly Canadian response, which is — we are sorry," said Jessica Kuetfer, public relations manager for Home Hardware. 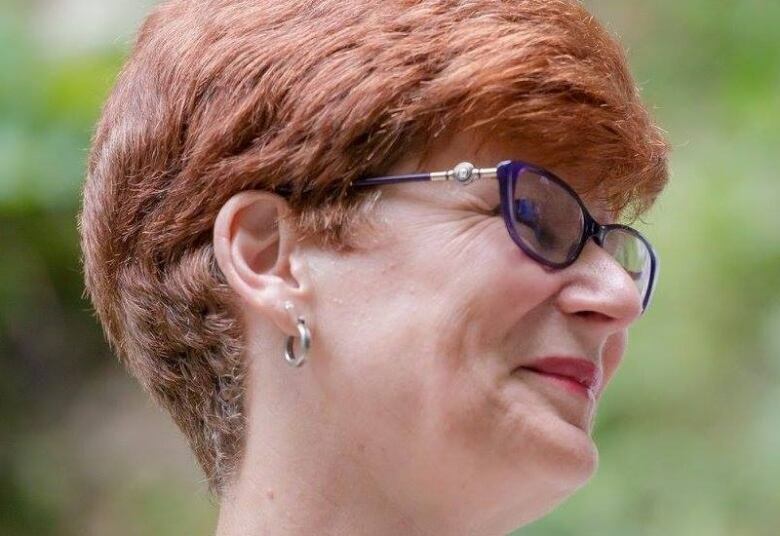 Randle said she searched for the special flowers far and wide before finally finding two bags of bulbs at a nursery near her home in Ancaster, Ont. for double the normal price because they were the only ones left in the store. One bag was for a friend, who now lives in Michigan. The two of them plan to head back to Ottawa, where they became friends back in the 1970s, for the country's birthday celebration. Randle was looking forward to admiring her patriotic petals this spring, but said she'll never forget the surprise she had when they finally opened up. "What emerged from the stem were tall, spiky, reddish tulips with a orange-yellow base — not remotely like the picture," Randle said. "I thought: Gee, I was sure for Canada Day they'd be red and white." Staff at Home Hardware said they have also received reports some flowers are not blooming at all, but they believe that's less of a worry because the tulips are designed to bloom in mid-to-late May. Kuetfer says the vast majority of the tulips have been blooming properly, but the store is tracking all complaints about flowers with the wrong colours and sending them to Holland Bulb Market. "We've received many reports of happy blooming bulbs," Kuetfer said. "But we are taking the 31 cases we have heard of very carefully." As for Randle, she's taking her tulip surprise in stride, making quips about how Canada will likely launch an inquiry to find out what happened to the precious birthday flowers. "That's Canadian — we are concerned about things like flowers, rather than, you know, the North Koreans," she said. "I've still got beautiful flowers they're just somewhat confused."